Aspects of Play: Maze Game. 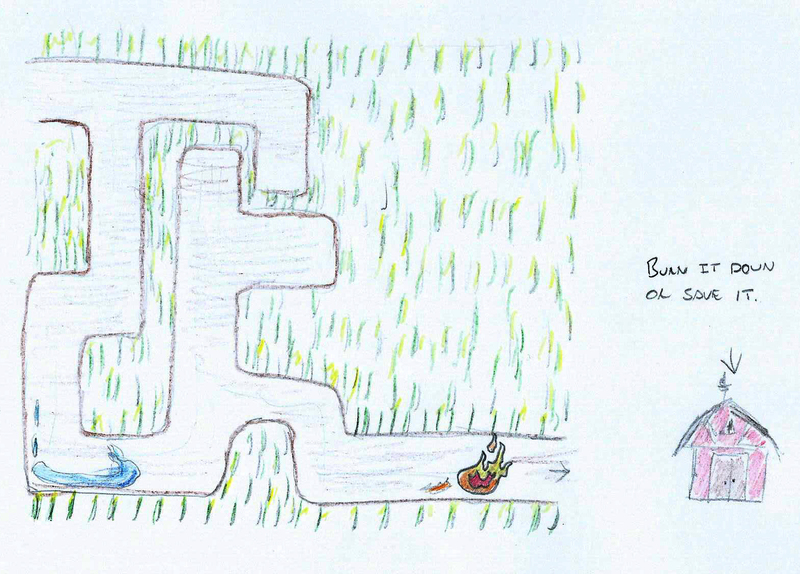 Of the three theme ideas that I considered for my maze game, I decided to go with one that features fire and water. I feel this could work quite well allowing the player to be good or bad. This led me to investigate the ways in which animated fire and water could be visualized in Unity. First i tried using 3Ds Max to make a fire effect, this worked quite well in 3Ds Max but I was unable to export the animation. Then I came across this tutorial on YouTube which helped me to use the fire particle system together with a flame texture to give the effect of fire, I then used the water surface splash to give the effect of flowing water. The overall effect is quite good but maybe too realistic looking, I may change this for a more cartoon style look. Aspects of Play: Casual Game Project. My initial game proposal for a maze chase type game had no real underlying theme to it, so I came up with three different themes that can work as a maze chase game. 1. You are a bug trying to reach the safety of your nest/home, but other nasty insects are out to catch and eat you! 2. Through a series of joined piping you are to guide a liquid/medicine to the goal/patient before a perusing poison liquid touches and destroys you! 3. You are a flame moving through the parched fields on a mission to burn down buildings, only one thing can stop you the torrent of water behind you. This can also work in reverse; as the water you could be chasing the flame to prevent it from burning down the building at the end of the maze. 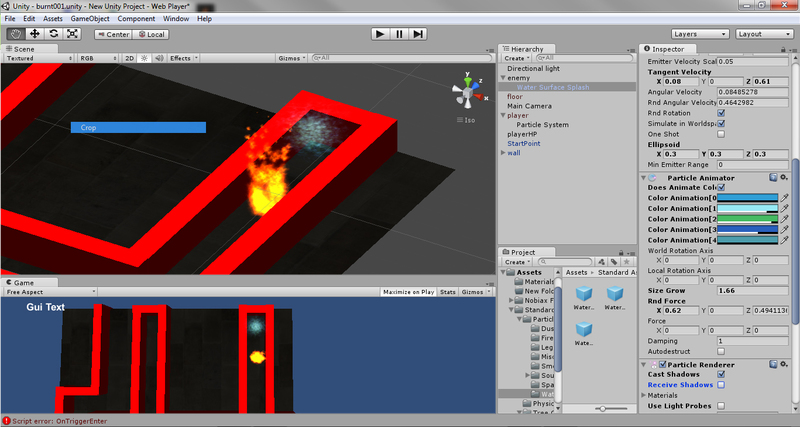 The player cold also choose whether to be the flame or water. In order to create a working and playable fragment of my game idea, I researched online video and written tutorials in order to help me to produce the code needed to control the player through the movements of the mouse. 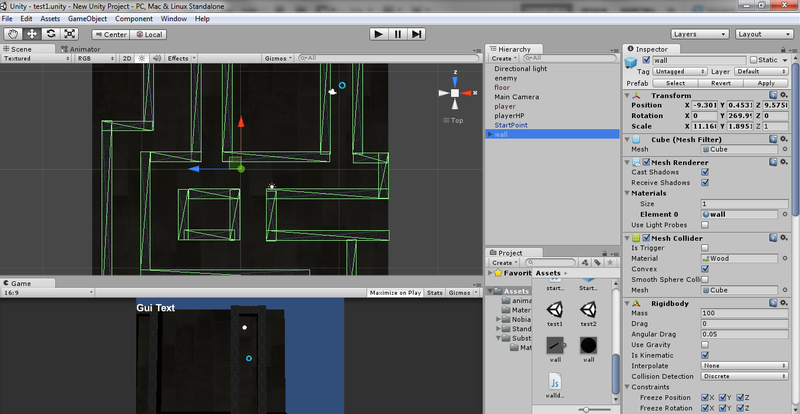 Through following several tutorials I was also able to get an ‘enemy’ to follow the player wherever it is in the level. I have also implemented collisions between the player and enemy by adding the rigid body and collider components in the Inspector tab. Because this is a maze game there needs to be walls that also have collision, this was achieved be adding the mesh collider and rigidbody components. The green outlines on my wall assets represent the collision boundaries of the wall and stop the player and enemy from passing through. Aspects Of Play: Casual Game Proposal. 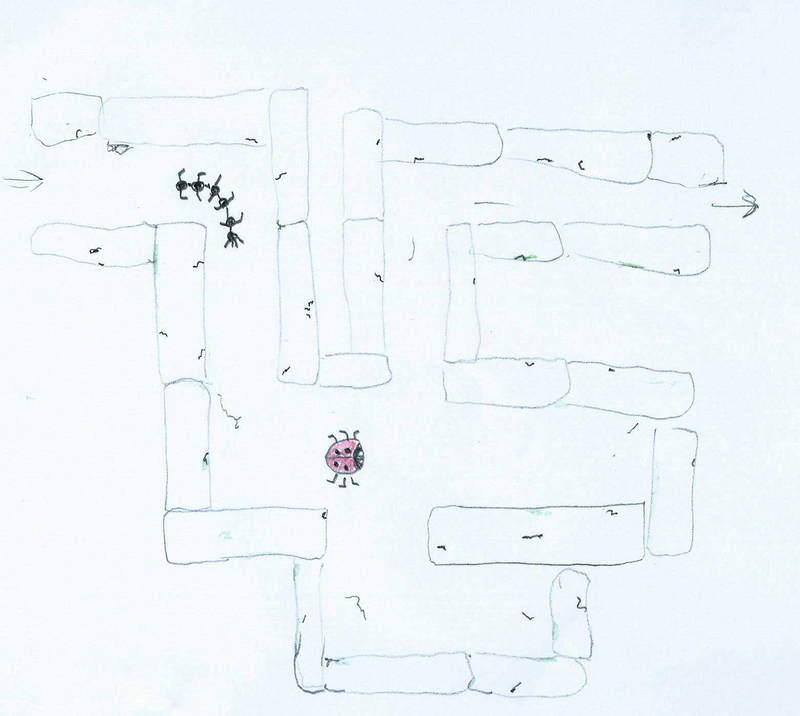 For my casual game I am proposing a top down view maze game in which you guide your player (represented by a dot for example) through a maze to the goal whilst being chased by an enemy. If the enemy touches you; you die, if you touch the maze walls your health depletes and you die. 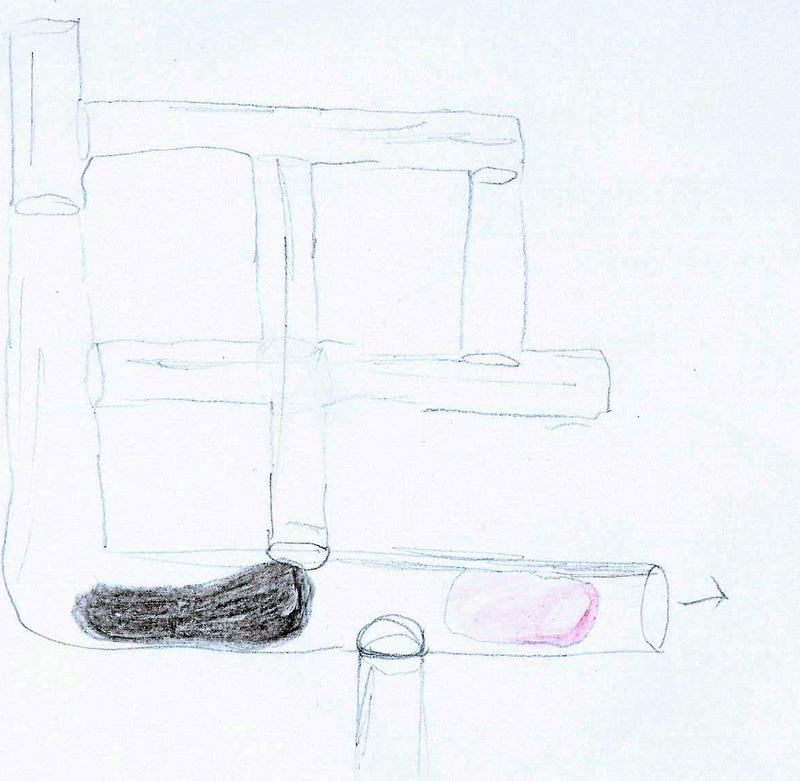 To make the game progressively harder the maze could agitate, rotate, change colour, invert and speed up or slow down, this will also create an element of disorientation for the player. 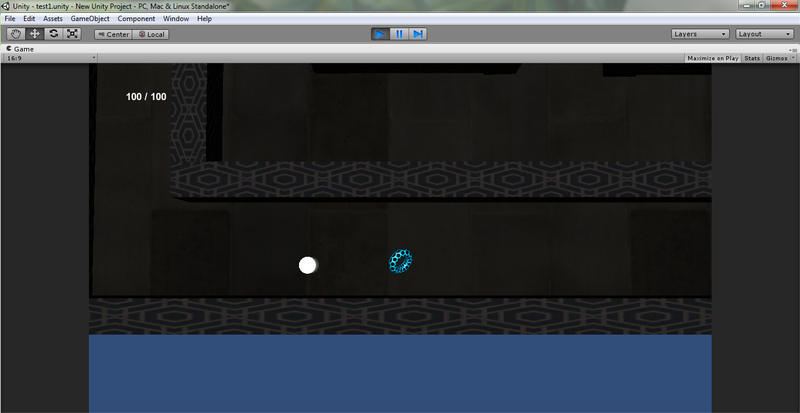 Player movement is directly mirrored by the movement of the mouse, and no other controls are needed. Initially I was going to make the game using Flash Action Script 3, but have now decided to use Unity instead, this will enable me to import 3D assets that can be made in 3Ds Max and should enable me to give a better look and add more dimension to my game fragment. Using Unity I also hope to achieve a more polished look to the game which would in turn give a more satisfying experience to the gamer.